The wonderful and historic Brooklyn Heights Promenade is at the tip of chic Montague Street, with stunning lower Manhattan skyline views. Below the Promenade is Brooklyn Bridge Park, an urban oasis, 85 acre waterfront park on the East River. The park was designed by landscape architecture firm Michael Van Valkenburgh Associates and planned as a recreational, environmental and cultural destination. The activities available in the park are Kayaking, Music, Soccer, Outdoor Movies, Basketball Clinics, Zumba, Yoga, Dance, Ping Pong and so much more! Today’s Brooklyn Heights is recognized by Real Estate Brokers in Brooklyn NY as the most expensive neighborhood for real estate in the outer boroughs. Today’s Brooklyn heights is posh yet understated with architectural beauty on tranquil tree lined blocks. The housing stock in Brooklyn Heights is exclusive and in high demand. For a stunningly beautiful 1 family townhouse with 9 rooms, 4 bedrooms and 3 baths, asking is $4.250M, for 9 rooms, 5 bedrooms, 3+ baths and private parking (worth it’s weight in gold) asking is $7.950M and for a 14 room, 6 bedroom, 3 bath home, asking is $7.995M. 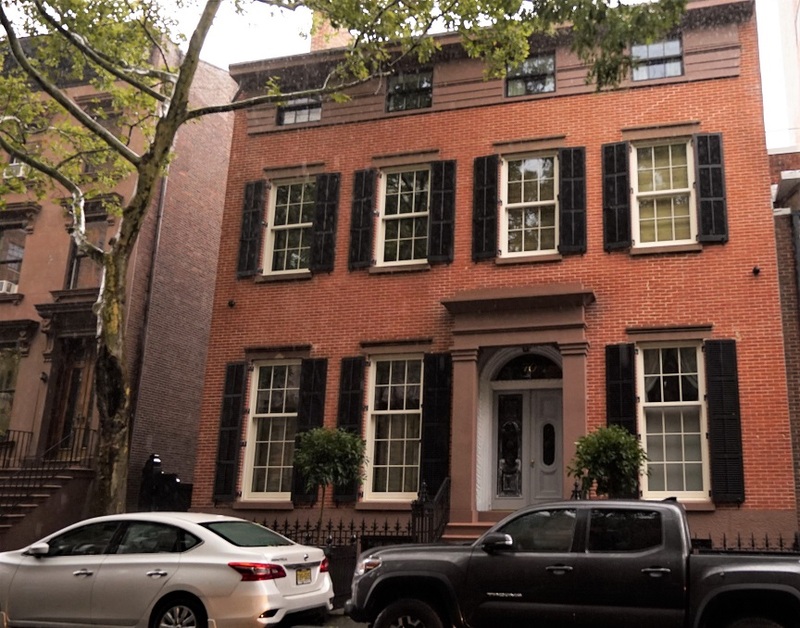 For an equally stunning 2 family townhouse, with 3,835 square feet, 10 rooms, 4 bedrooms and 3.5 baths, the asking is $5.350M and for a 5,000 square foot, 14 room, 7 bedroom, 4.5 bath home, asking is $8.5M. For a 4 family home with 6,200 square feet, 15 rooms, 6 bedrooms and 4.5 baths, asking is $9.950M. For a 5 family home with 6,500 square feet, 16 rooms, 8 bedrooms and 9 baths, asking is $7.250M. For a 6 family home with 6,516 square feet, 22 rooms, 6+ baths, asking is $7.295M. For a 9 family home, the asking price is $7.6M. The Condominium market in Brooklyn Heights is hot. The asking price for a 730 square foot, 1 room studio with 1 bath is $699,000, for a 901 square foot, 3 room, 1 bedroom, 1 bath unit, asking is $1.1M, for a 1,144 square foot, 2 bedroom, 1 bath unit, asking is $1.565M, for a 1,430 square foot, 4 room, 2 bedroom, 2 bath unit, with direct water views, asking is $1.795M, for a 1,433 square foot, 4 room, 2 bedroom, 2 bath unit, asking is $1.950M, for a 1,214 square foot, 4 room, 2 bedroom, 2 bath unit, asking is $2.115M, for a 1,441 square foot, 4 room, 2 bedroom, 2.5 bath unit, asking is $2.350M, for a 1,814 square foot, 2 bedroom, 2.5 bath unit, asking is $3.395M and for a 2,487 square foot, 4 bedroom, 3.5 bath unit, asking is $5.2M. The Co op apartment market in Brooklyn Heights is very strong. For a 1 room studio, corner apartment with 1 bath, asking is $399,000, for a 4 room, 1 bedroom, 1 bath, asking is $549,000, for a 3 room, 1 bedroom, 1 bath apartment, asking is $695,000, for a 3 room, 1 bedroom, 1 bath, asking is $745,000, for a 4.5 room, 2 bedroom, 1 bath duplex apartment, asking is $949,000, for an 1,800 square foot, 5 room, 3 bedroom, 1 bath apartment, asking is $1.499M, for a 4 room, 2 bedroom, 2 bath unit, asking is $1.750M and for a 7 room, 4 bedroom, 2 bath apartment, with harbor views from every room, asking is $2.995M. Subway service into Manhattan is accessible with the 2,3,4,5, N and R trains at Borough Hall and Clark Street. P.S. 8 located at 37 Hicks Street, serving grades K-8. P.S. 29 John M. Harrigan School, located at 425 Henry Street, serving grades K-5. Brooklyn Heights Montessori School, located at 185 Court Street, serving grades PK-8. P.S. 261 located at 314 Pacific Street, serving grades PK-5. Arts & Letters School located at 225 Adelphi Street, serving grades K-8. Colonie located at 127 Atlantic Avenue, serving locally sourced, inventive food. Great brunches and dinners. Sociale located at 72 Henry Street for modern Italian cuisine. Della Rocco’s located at 214 Hicks Street, a neighborhood bistro for Pizza. Noodle Pudding located at 38 Henry Street, a local favorite Italian food spot specializing in Pasta. Henry’s End located at 44 Henry Street, serving American cuisine with a twist. The Binc located at 60 Henry Street, serving a tight food menu with great cocktails. Kogane Ramen located at 76 Henry Street, a cozy, affordable Ramen spot. Pinto located at 128 Montague Street, serving strong Thai fare. Gallito’s Kitchen located at 140 Montague Street, serving great tacos with ingredients from locally sourced urban farms. French Louie located at 320 Atlantic Avenue, serving both French and New American cuisine. Jack The Horse Tavern located at 66 Hicks Street, serving great food and wine. Queen located at 84 Court Street, serving delicious Italian food for 50 years. Yemen Restaurant located at 176 Atlantic Avenue, serving Middle Eastern and Indian cuisine. Brooklyn Heights Wine Bar & Kitchen located at 50 Henry Street. Henry Street Ale House located at 62 Henry Street. Floyd NY located at 131 Atlantic Avenue. Jack The Horse Tavern located at 66 Hicks Street. Colonie located at 127 Atlantic Avenue. Key food located at 102 Montague Street. Lassen & Hennings located at 114 Montague Street. A mom & pop deli. Sahadi’s located at 187 Atlantic Avenue, an amazing gourmet Middle Eastern grocery store. New York Marriott located at 333 Adams Street. 1 Hotel located at 60 Furman Street. NU Hotel located at 85 Smith Street. Aloft Hotel located at 216 Duffield Street. Hotel Wall Street located at 129 Front Street.